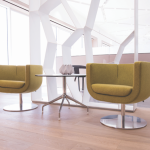 Teknion Corporation has announced the opening of a new Los Angeles showroom. 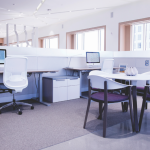 Situated on the 41st floor of the Ernst & Young Plaza, the showroom provides clients with an accessible location in the city’s burgeoning downtown. Framed by windows on three sides, the 8,650-square-foot space (804 m²) offers visitors panoramic views of the Los Angeles skyline to the Pacific Ocean. Wrapped on three sides by an expanse of windows, an abundance of natural light flows into the airy space, which is devoid of columns. 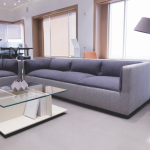 Upon entry, visitors and guests first step into a spacious lounge area. 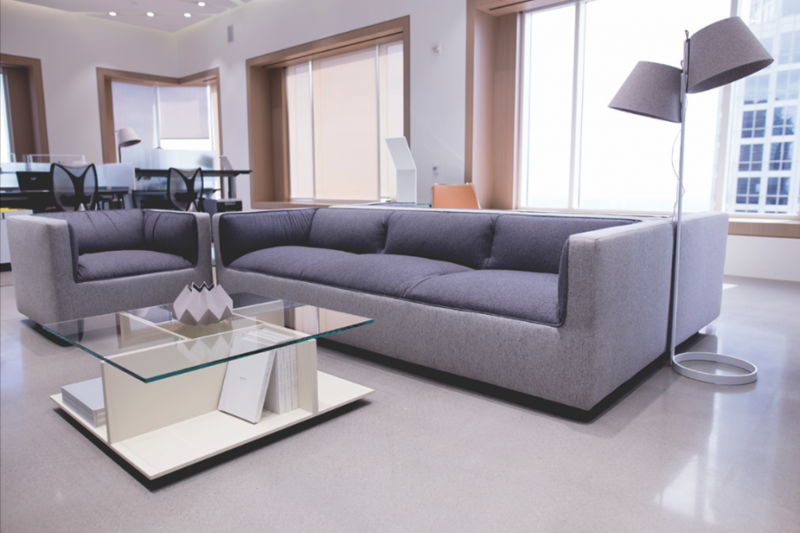 The lounge is bisected by the Teknion Community Table, creating a central “hearth” area that extends the full depth of the showroom. 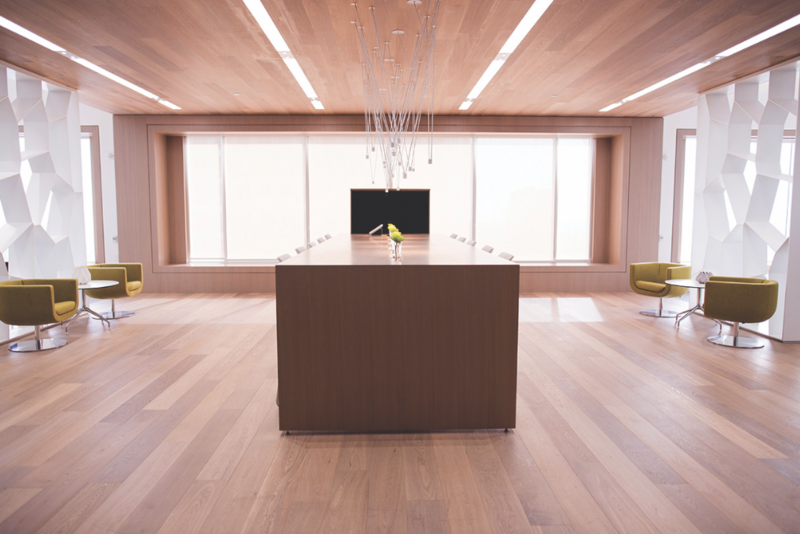 Warmed by natural wood flooring and millwork, the elegant space serves multiple functions, supporting collaborative and touchdown workstyles. 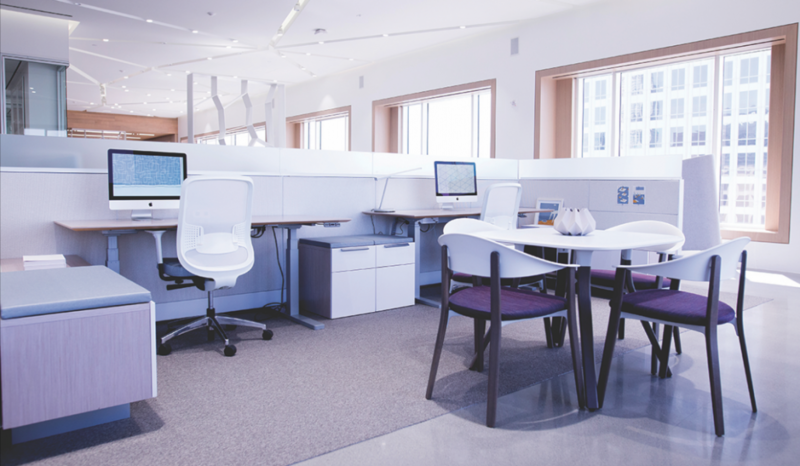 From the hearth, visitors are directed either right or left to experience Teknion’s latest thinking about workplace design. 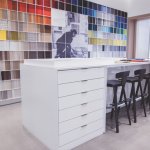 The south side of the showroom illustrates a casual, modern approach to the work environment, employing a playful color palette and a variety of Teknion products in an open, fluid landscape. In contrast, the north side exhibits a more conservative approach with a formal look and feel, plus a lounge area with built-in video display. 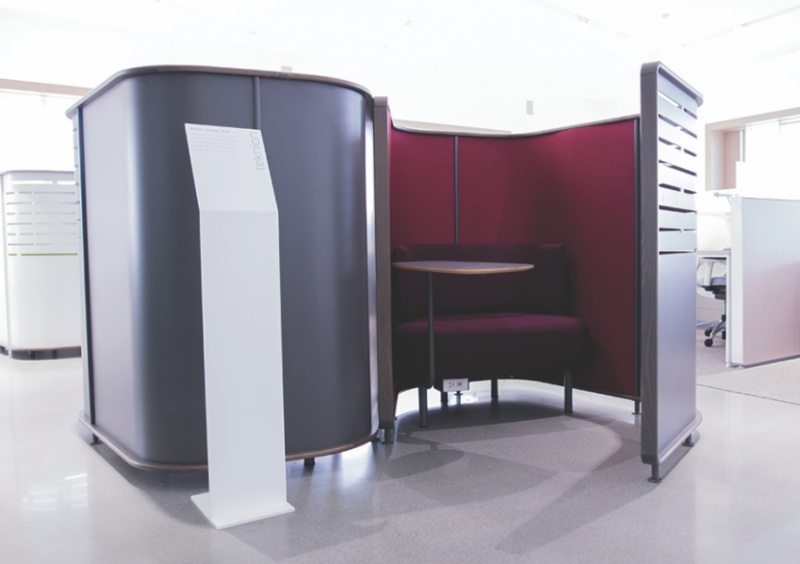 Teknion’s architectural glass wall systems divide offices and conference rooms, while maintaining a sense of transparency and accessibility that is consonant with the Teknion brand. 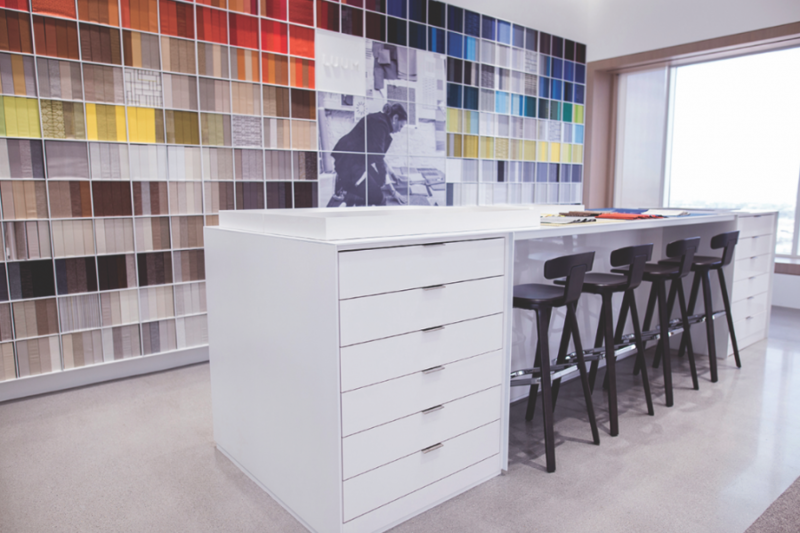 The showroom also features a display of Luum Textiles’ extensive collections and product finishes, incorporating a large work/storage table that provides a useful surface on which to lay out fabric and finish samples. 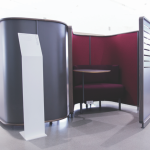 Throughout the showroom, Studio TK product is displayed to create dynamic social spaces, promoting a culture of choice, connection and community across the office landscape. 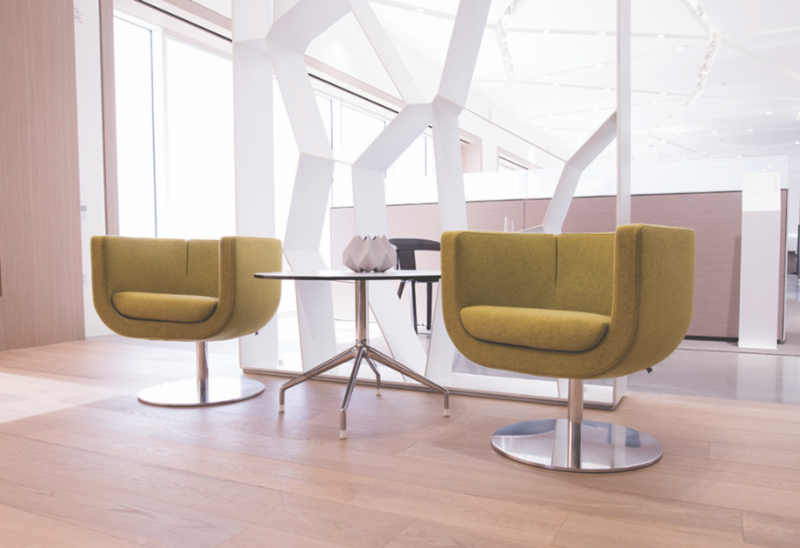 Teknion has registered its new Los Angeles showroom with the U.S. Green Building Council with the certification goal of LEED-CI Platinum. The Ernst & Young Plaza is LEED Platinum Certified. Showroom General Contractor is JDM Contractors. The Architect of Record is NXT Design Studio. Both companies are based in Los Angeles.